The Milwaukee Haiku Club submitted these photos of the event. On Sunday, October 21st, Japan Fest was held in the Franklin High School Cafeteria. At the event, the Milwaukee Haiku Club displayed winning submissions from their Haiku competition. This year, the top three places went to Arrowhead students. Japan Fest is an annual event where people join together to celebrate Japanese culture. 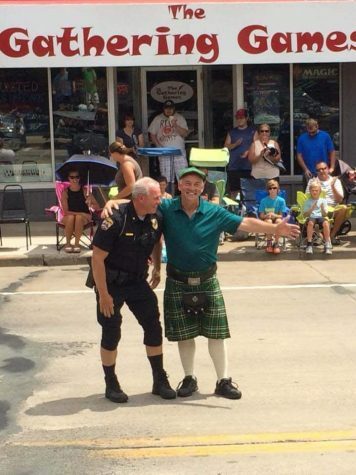 It took place from 12:00pm to 3:30pm and was organized by Milwaukee Japanese Association. According to the Milwaukee Japanese Association, over 850 people attended the event. Along with the haiku display, the event also included stage performances, karate lessons, traditional Japanese foods, games, and other events and activities. 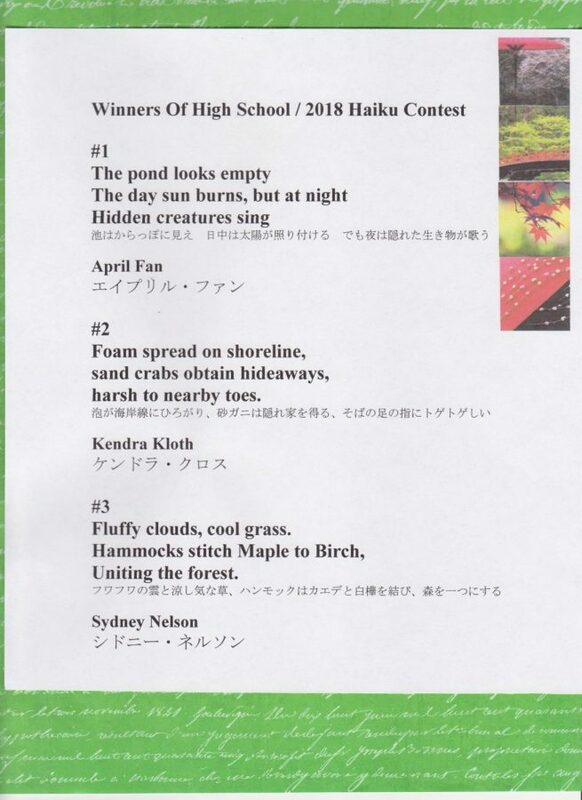 April Fan, a senior at Arrowhead, came in first place in the haiku competition. Kendra Kloth and Sydney Nelson, Arrowhead juniors, took home second and third place, respectively. The students were encouraged to enter their poems by their Creative Writing teacher, Elizabeth Jorgensen, during their online summer class. Jorgensen says she tries to provide her students with real audiences and reasons to write. She chose the haiku writing contest as a way for her summer students to express themselves and practice writing poetry. Jorgensen wanted them to write for someone other than their teacher. “I hope the students who took advantage of this opportunity enjoyed the experience of writing for a competition,” says Jorgensen. Fan, the first place winner, says she has been writing on and off for some time. 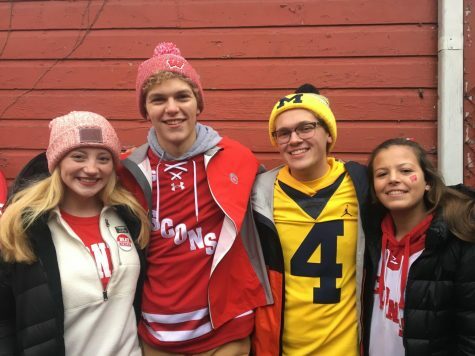 She said she enjoyed taking Creative Writing online this past summer because it broadened her horizons and made her focus on her writing again. “It got me to start experimenting with different forms of writing that I had never thought of before. The different authors that we looked at all had beautiful writing styles that inspired me to incorporate different expressions and metaphors into my writing pieces,” Fan says. Kloth says she was excited and surprised to hear she had been awarded second place for her poem. She says she liked her haiku, but knew their were so many other talented writers who also submitted poems. Kloth was happy to write her haiku, as the haiku is her favorite form of poetry.